I was sent an offer I could not refuse not long ago …. 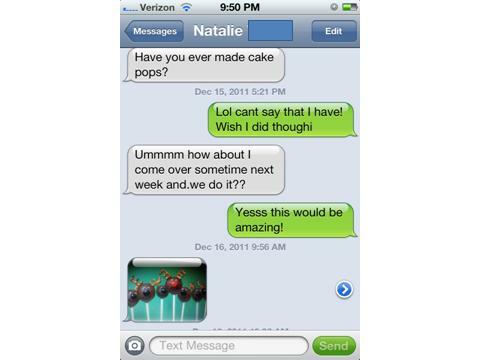 Make Cake Pops and Spend time with Natalie? Well I’m in! Before anything else happens, make the cake. Duh. Follow the standard directions on the back and then wait for the cake to cool. We placed it in the fridge for five minutes, tried to work with it, burnt our hands, and then put it in the freezer for 10 more minutes. 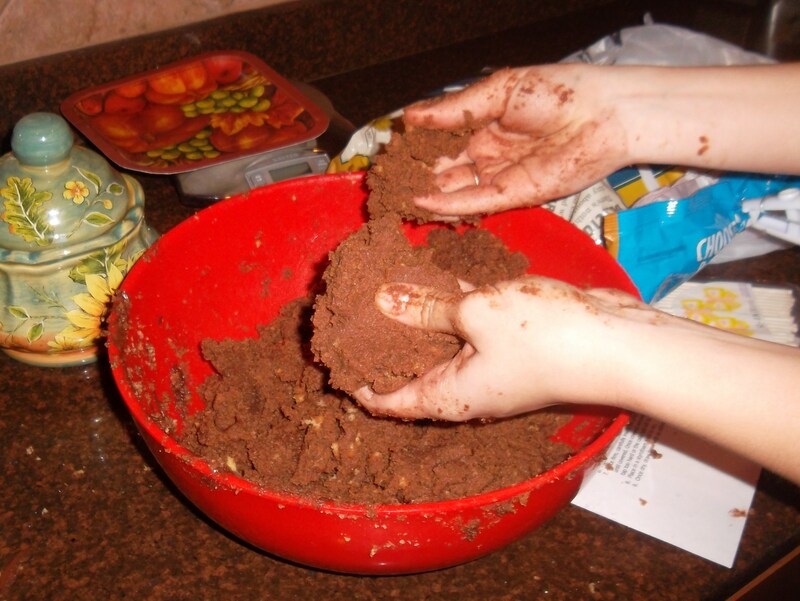 Once the cake is cool, crumble it up into a large mixing bowl. You want it to be in small pieces. Then add the tub of frosting. Some use a spoon to mix or maybe a spatula. We used the best tools God gave us: our hands. After it being sufficiently mixed, form cake/frosting balls. They should have the diameter of a quarter but really just make them a size that would look good on a stick and not fall off. Then melt some candy melts and dip the lollipop sticks tips into chocolate before placing them in the balls. Place them in the fridge or freezer to completely harden. This is where impatience got the best of us and we took them out too quickly. 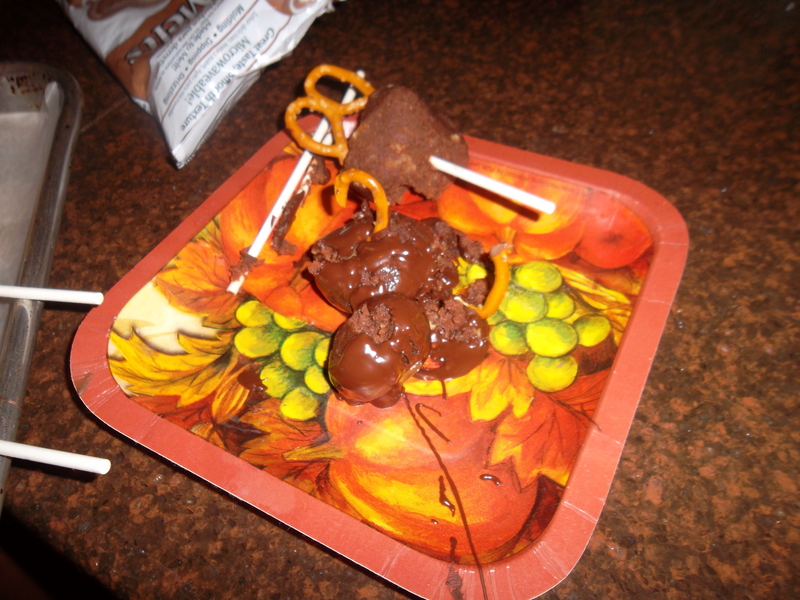 As a result, the chocolate on the sticks had not always stuck and the pops sometimes fell off. This was completely my fault. I saw the finish line and I wanted to get there. As a result we had a reindeer graveyard for the pops that fell off their sticks. Finally, melt the remaining chocolate melts. Place the chocolate in a microwaves safe dish and heat in 30 second intervals until melted. 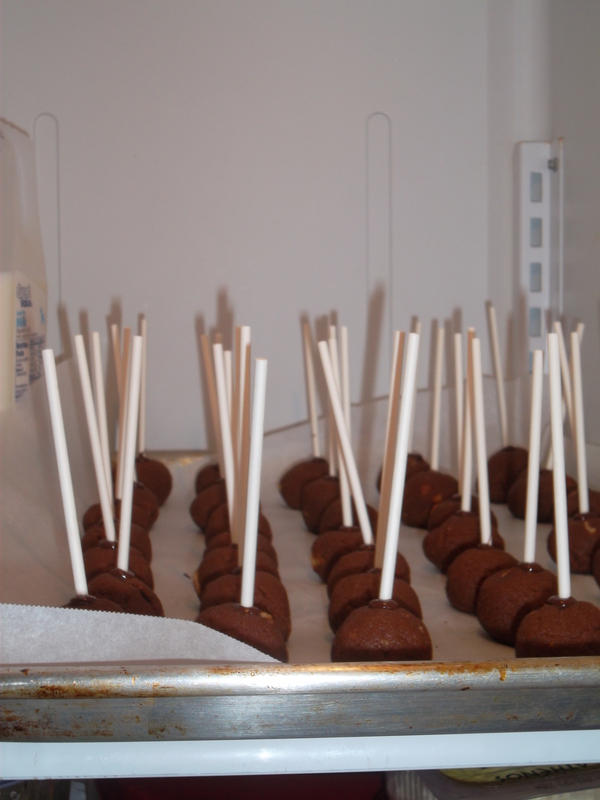 Dip the cake pops. Twirl them a couple of times to get access chocolate off. 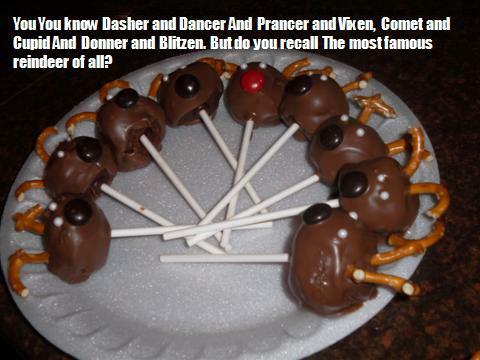 Then stick two pretzels in the top of the head as antelers. 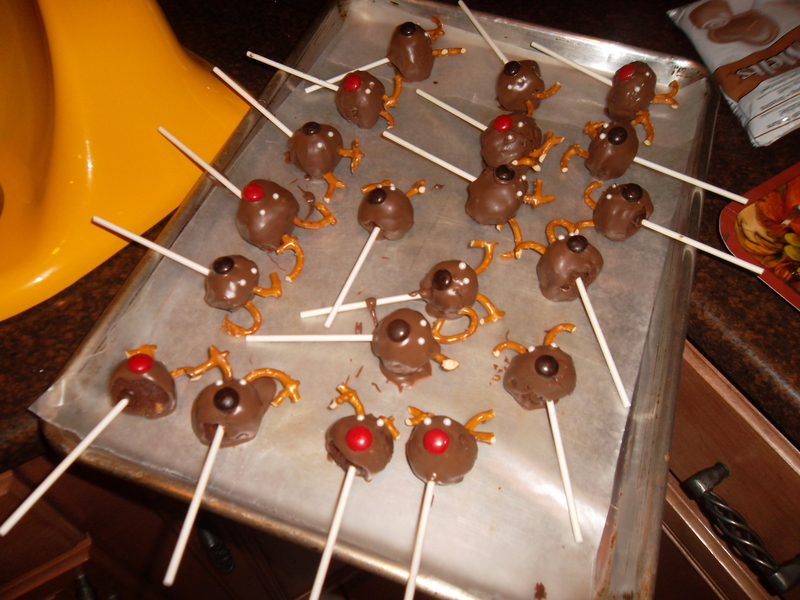 Give the reindeers a face by using the M&M’s as noses and the while sprinkle ball things as eyes. If you really have no life like decorating, you can use an edible pen to create eyes and thus facial expressions. If not, they are just as adorable. But the most important part is doing this with someone who doesn’t think you are crazy when you ‘awww’ over every reindeer and begin to name them. 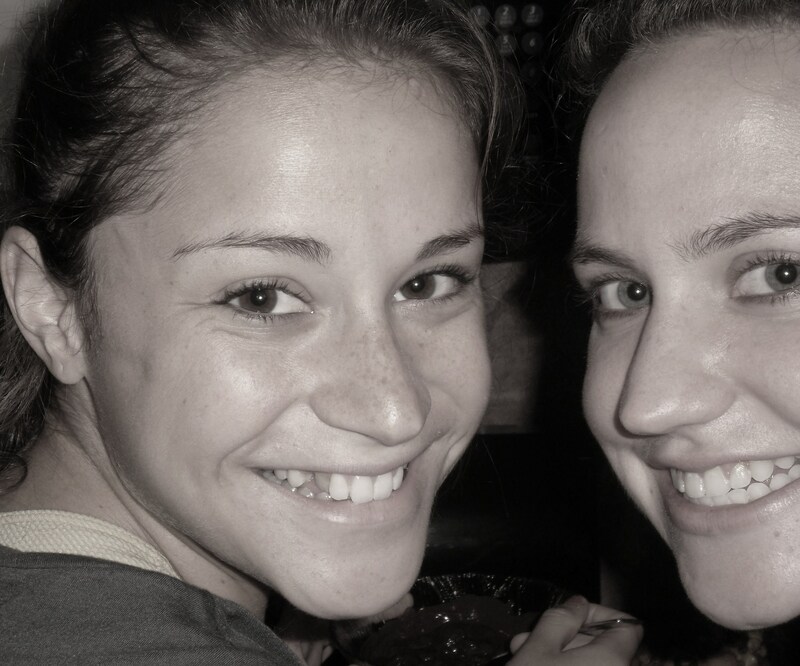 Trudy was still my favorite…. 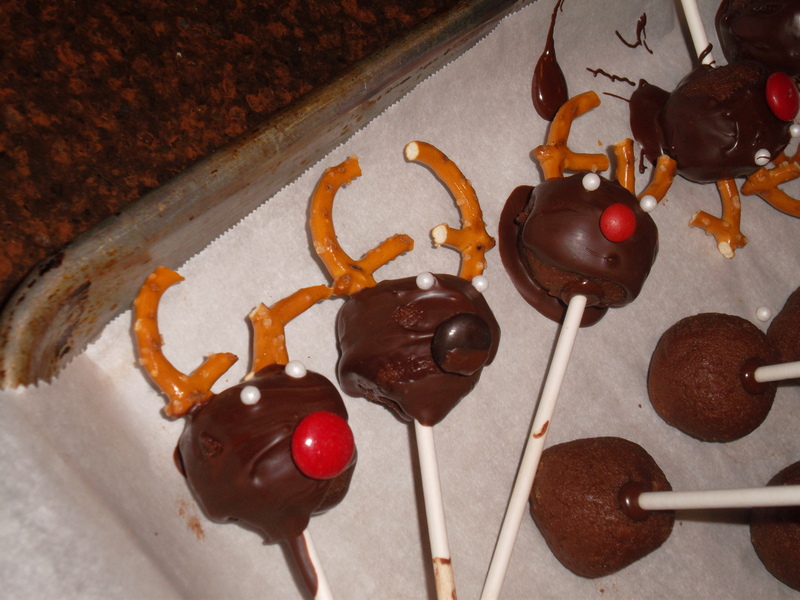 I’ve never made cake pops either but it looks like fun! 🙂 Those reindeer cakepops are so cute!! those are sooo cute 🙂 i love it! Those look delicious and they turned out to be BEAUTIFUL!